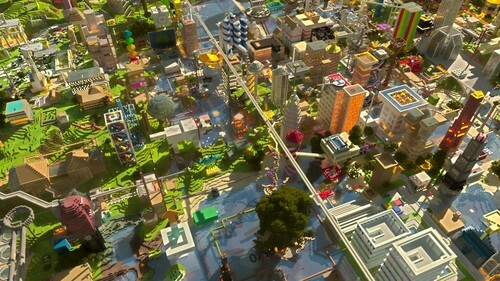 《我的世界》 City. . HD Wallpaper and background images in the 《我的世界》 club tagged: photo minecraft landscape world city architecture. This 《我的世界》 wallpaper contains 商务区, 市中心, 商业区, and 商务区市中心. There might also be 花束, 胸花, 波西, 香奈儿, 捧花, 铭文, 街道, 城市风貌, 城市环境, 城市场景, 城市设置, and 摩天大楼.